One cold November day, a mysterious figure appears on the village green in Three Pines, causing unease, alarm and confusion among everyone who sees it. Chief Superintendent, Armand Gamache knows something is seriously wrong, but all he can do is watch and wait, hoping his worst fears are not realised. But when the figure disappears and a dead body is discovered, it falls to Gamache to investigate. Armand Gamache has returned to the Quebec Surete as Chief Superintendent. 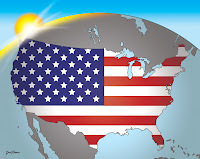 By rights he ought to be retired and there are whispers going around that he is "past it", just not up to the job: he is refusing to take swift and decisive actions, serious crime rates are rising, particularly drug trafficking. Those who were glad when he took on the job are losing faith. This is a novel with a slippery time frame. In the opening chapter Gamache is in the witness box at a murder trial. Unusually he was the arresting officer and the arrest took place at the village of Three Pines where he lives. Other people from the village, including his wife, will also be called as witnesses. The judge is overseeing her first murder trial. Already she has detected something rather odd in the proceedings. There seems to be some sort of collusion between Chief Inspector Gamache and the Chief Crown Prosecutor, although at the same time they don't seem to like each other. The novel slips back and forwards in time giving the reader the background to the case. That in itself is not unusual but there is something else going on here, just a hint that it could mean the end of their careers for the two men in the court. There is a defendant in the box, but for the moment we are not told who, nor who the victim was. Most of the residents of the small village of Three Pines feature in the novel, and this is really where having read the series comes in. I suppose you could read the book as a stand-alone, but that is hard for me to say as I have read the series. Believe me, it is worth doing that. Many hours of reading pleasure await you. 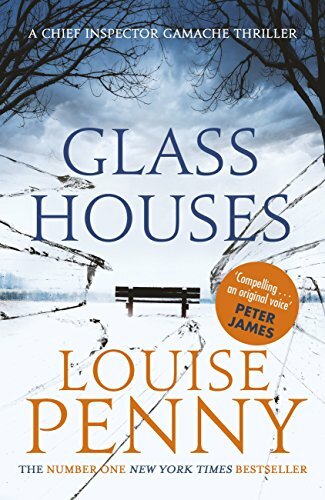 Another spell binding read from Louise Penny. 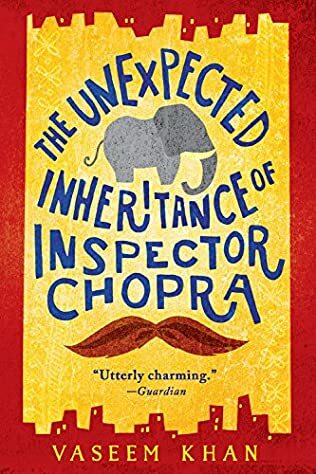 Inspector Chopra is forced to take early retirement as a result of a heart attack. But he is not yet ready to take things easy, put up his feet and just watch cricket. On the very day of his retirement he learns of the death of a young man, supposedly from drowning, and he knows there will be no investigation, if he doesn't follow it through himself. And then he learns that his uncle has sent him a baby elephant. Where do you keep an elephant in a high rise apartment? And what do you do when it won't eat? A light humour lies behind every word in this novel, even when the investigation which Chopra takes on without official sanction leads him into Mumbai's steamy underworld and he sights a man who is supposed to be dead. On the cozy side of crime fiction, this makes good reading. Thanks for the recommendation Bernadette. Siblings Billa and Ed share their beautiful, grand old childhood home in rural Cornwall. With family and friends nearby, and their living arrangements free and easy, they seem as contented as they can be. 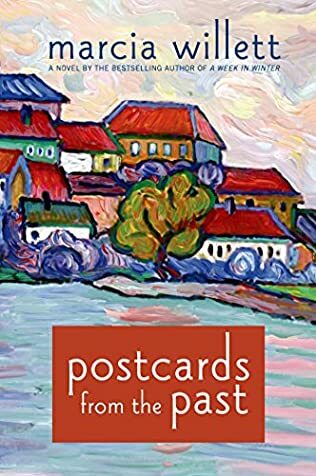 But when postcards start arriving from a sinister figure they thought belonged well and truly in their pasts, old memories are stirred. Why is he contacting them now? And what has he been hiding all these years? Well, you ask me, is this crime fiction or not? 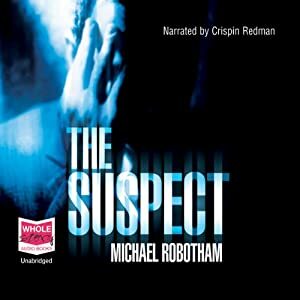 A crime was committed way back in the past, but that is not really the focus of the story, although it does explain why one of the characters is as he is. The focus is the mystery behind why their mother's step-son Tris, whom they haven't seen for 50 years, is coming to visit Billa and Ed. The postcards he sends them in the weeks before he arrives have obviously been carefully selected, to remind them of things they would rather forget. And they anticipate his visit with great dread. It felt a bit gentler than the books I usually read but I read it with great pleasure. The characterisation was excellent, and the suspense generated by the impending visit was well done. I guess you could argue that this isn't really crime fiction, but in the end a crime is committed, even if only through ignorance. The setting is Killarney 1825. Nora Leahy is brought to the edge of her tether when her husband Martin dies suddenly out in the fields. As the villagers gather together in Nora's hut for the wake, they talk about the signs observed at the time Martin died: four magpies sitting together in a field; the fact that he died at the crossroads where they bury suicides; that as he fell the hammer at the blacksmith's could be heard; and as the men carried his body home lights could be seen towards the woods. These are taken as signs that the fairies, The Good People, had a hand in his passing. After the priest has left, Nance Roche, regarded by some as a witch, arrives to keen over Martin's body and Nora invites her into the hut. Nora has already delivered her four year grandson, who is disabled, to a neighbour so that those coming to her hut do not see him. The novel tells the story of how Nora and Nance attempt to cure the boy, of how they become convinced that he is a changeling, left by The Good People, in the place of her actual grandson. The author tells readers that this work of fiction is based on a real event that occurred in the summer of 1825 in County Kerry. The novel explores what might have been behind the case and it makes fascinating reading. The time frame is pre-potato famine, and already crops are failing and people are barely subsisting. They tend to blame events on external forces and rely on people such as Nance Roche for herbal cures, poultices, and superstitious beliefs to support them when they are ill or injured. At the same time, Joe is grappling with a troubled young patient, Bobby Moran, whose violent dreams are becoming more real. As Bobby's behaviour grows increasingly erratic, Joe begins to ponder what he's done in the past and what he might do next. Is there a link between his terrible dreams and Catherine McBride? So, if you haven't read any of this series yet, there is no better place to start - at the beginning. Amanda is running a detective agency and both she and Ted have been pointed towards each other. Her current case is that of a missing, almost certainly dead, writer. Amanda is being employed by Stella, Jake Scully's wife. She primarily wants evidence that Jake is dead so that she can claim his life insurance and get on with her life. Once Ted teams up with Amanda he becomes an object of interest for the locals and in particular two local policemen who try to make things as unpleasant as possible for him. Journalists and local media make plenty of the new detective partnership and local hoons visit Ted's house regularly. Candice Fox is the middle child of a large, eccentric family from Sydney’s western suburbs composed of half-, adopted and pseudo siblings. The daughter of a prison parole officer and an enthusiastic foster-carer, Candice spent many of her early Christmases travelling to a Sydney correctional facility in the family minibus to knock on prison cell windows, run around the razor-wired yard and eat fruitcake prepared by inmates. While her mother and stepfather developed an ever-growing mob of Sydney’s most disadvantaged children throughout her later youth, entertainment had to be cheap. She spent her school holidays exploring free, open spaces – farms, bushland and cemeteries. Bankstown born and bred, she failed to conform to military life in a brief stint as an officer in the Royal Australian Navy at age eighteen. At twenty, she turned her hand to academia, and taught high school through two undergraduate and two postgraduate degrees. In 2015, she began collaborating with best selling author James Patterson on a series of books featuring Detective Harriet ‘Harry’ Blue. Loren's Facebook-perfect marriage is spectacularly exposed revealing an underbelly of lies and betrayal. What is uncovered will scandalise a small town, destroy lives and leave a family divided. The blurb on the back of the book tries very hard not to reveal any plot details, and so I think I should follow that line. That makes reviewing it extremely hard. The book is set in a suburb of Los Angeles with deep social divisions demarcated by the river that runs through the suburb. Loren and her family(husband and twin girls aged 5) live on High Side but she was born on Low Side. When she was young her mother left her father for another woman who already had a daughter Loren's age, Molly. Loren eventually goes to work in New York where she meets a man from High Side. She returns to Los Angeles and and they eventually marry. It is a book that holds the reader's interest throughout but I guarantee that most readers will not predict the ending. Caroline Overington is a two-time Walkley Award-winning journalist who is currently a senior writer and columnist with The Australian. She is the author of two non-fiction books, Only in New York and Kickback which is about the UN oil-for-food scandal in Iraq. Since then she has had her first novel Ghost Child published in October 2009 to great acclaim. 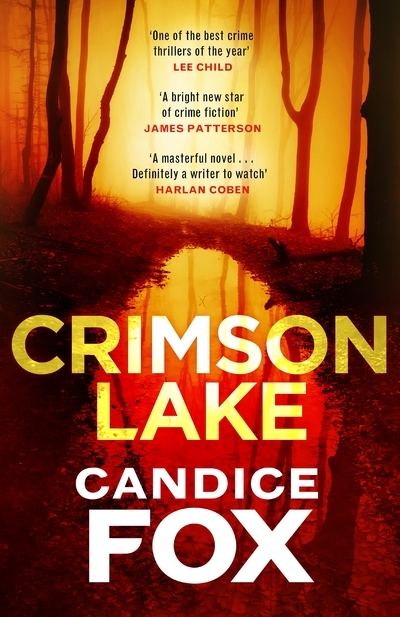 She has written eleven books, including LAST WOMAN HANGED, which won the Davitt Award for True Crime Writing in 2015. Caroline has also profiled many of the world's most famous women, including Oprah Winfrey and Hillary Clinton. A deadly secret lurks in an island’s history, buried deep but not forgotten. And it is about to come to light. Lucy Hall arrives in the Seychelles determined to leave her worries behind. The tropical paradise looks sun-soaked and picture-perfect—but as Lucy soon discovers, appearances can be very deceptive. Leigh Russell is quite a prolific author with 16 Books published since 2009. JOURNEY TO DEATH is the first of 3 in the Lucy Hall series. Lucy Hall comes to the Seychelles with her parents just after a romance breakup. She has sustained an emotional collapse and her parents are trying to help her recover. While they know that her father was evacuated (forcibly) from the island 30 years before, his wife and daughter know little about his personal life at that time. Their idyllic holiday is shattered when the wife, Angela, disappears. In the meantime Lucy begins to think that someone is targetting their family. The main narrator of the tale is Lucy and we see the action mainly through her eyes. However occasionally the reader is told what is happening to Angela, and the tension and suspense ratchet up. In the long run the story was handled well, and I feel tempted to follow Lucy into the second book in the series. 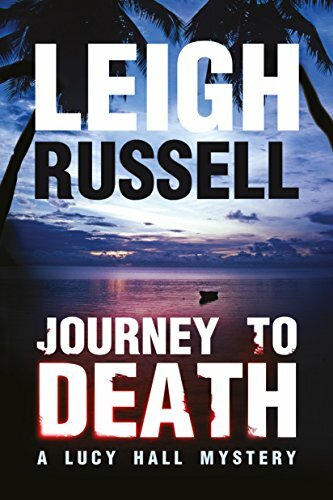 LEIGH RUSSELL is described as "a brilliant talent" by Jeffery Deaver. CUT SHORT (2009) was shortlisted for the CWA New Blood Dagger Award for Best First Novel. Road Closed (2010) was listed as a Top Read on Eurocrime. With Dead End (2011) Leigh's detective Geraldine Steel was Number 1 on amazon kindle's bestseller chart for female sleuths. first published in 2016 by Coach Books. Not my usual fare, and definitely not crime fiction. This is very similar in format to the Michie's other book that I have read THE DALAI LAMA'S CAT, a fictional vehicle for David Michie's Buddhist philosophy. It makes for interesting reading and puts Queen Elizabeth II and the rest of the Royal family in interesting light. The Queen is portrayed as a deep and empathetic thinker, as are the younger members of the family. 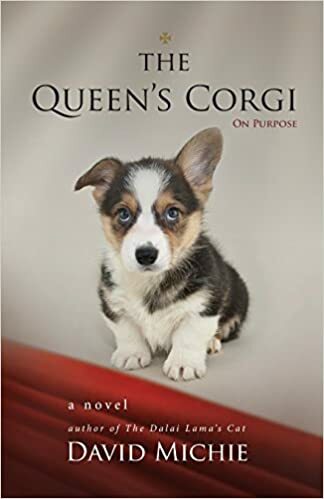 The novel is a series of events involving Nelson, the young Corgi, which test human tolerance and illustrate Buddhist concepts. Libby Day's life has been a disaster - at 7 years of age she testified that her brother Ben, then 15, had killed her mother and and two sisters. The murders were horrific and Libby, the youngest of the family, was left traumatised. She first of all lived with her aunt and then in foster homes. Ben went prison for life and has been there for 25 years. Libby, haunted by the possibility that she was wrong in her testimony, has never wanted to visit him. When Libby is contacted by Lyle from the Kill Club, she is not sure what he wants. She agrees to visit the club and finds that many of its members think that Ben was innocent of the crimes and certainly of the other things that Ben was accused of. To her own horror, she finds that she wants to know the truth, and paid by money provided by members of the Kill Club agrees to visit Ben in Gaol and then to track down people who might know what actually happened. There is a lot of tension generated in the book as we read on two time frames: the present mainly through Libby's eyes, and a chronology of what happened in the last days and hours before the murders. In places this is a very noir read, a truly nasty picture of what growing up in an impoverished family in Kansas in the mid 1980s was like. This book did remind me of Truman Capote's IN COLD BLOOD, also set in Kansas, and left me wondering if it was based on a true story. I'm still wondering: the Kill Club certainly exists. The novel also reminded me of SEE WHAT I HAVE DONE which I read a month or so back. From Wikipedia: The novel deals with class issues in rural America, intense poverty and the Satanic cult hysteria that swept the United States in the 1980s. 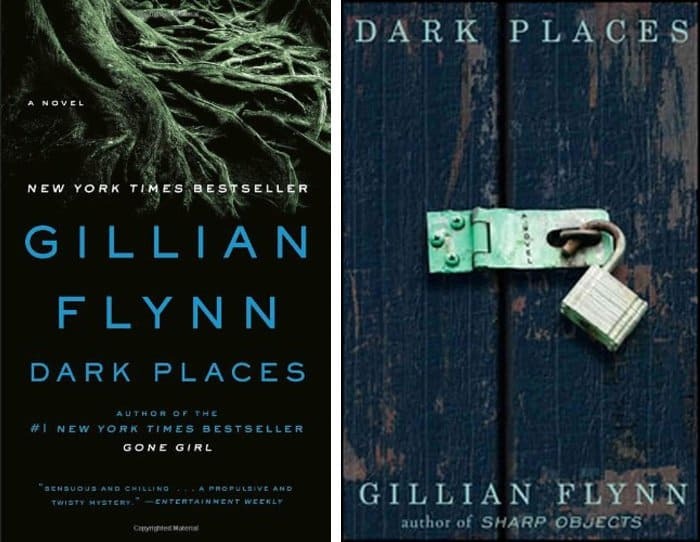 Dark Places was shortlisted for the Crime Writers' Association Ian Fleming Steel Dagger Award and won the Dark Scribe Magazine Black Quill Award for Dark Genre Novel of the Year. 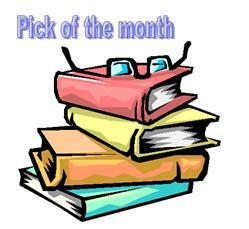 It was also listed on the New York Times Best Seller List for hardcover fiction for two consecutive weeks. A film adaptation of the novel was released on August 7, 2015. A moderate month in terms of the number of books read, although some very good books. This is the second I have read in the Varg Veum series, translated from Norwegian. 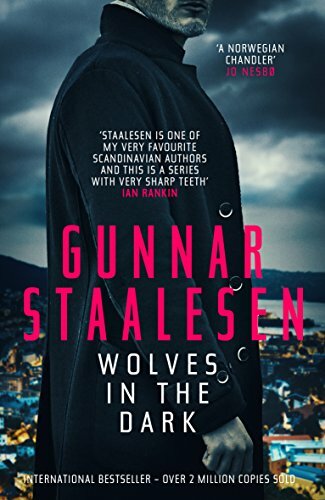 There are not many of the Staalesen titles available in English although he appears to be a very popular author. He recently won the Petrona Award for WHERE ROSES NEVER DIE. It is an invitation to you to write your own summary post for August 2017, identify your crime fiction best read of the month, and add your post's URL to the Mr Linky below.